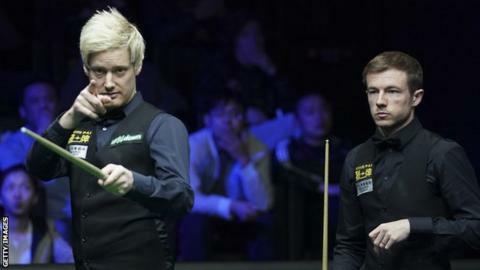 Neil Robertson won his third ranking title of the season by thrashing Jack Lisowski 11-4 in the China Open final. Breaks of 141 and 100 helped the Australian establish a dominant 8-2 lead after the first session. The 37-year-old then secured the three frames he needed for the title in the evening session to win the tournament in Beijing for a second time. The victory moved Robertson up to fourth in the world and earned him £225,000. Robertson also beat England's Lisowski in the final of the Riga Masters in July 2018.